Coffee is synonymous with college life. So if you're of that spirit, have a cool college decoration that portrays your love—addiction?—for coffee. The best dorm decor items do reflect your interests, as stuff for college like wall decor for dorms is designed for you to express yourself! 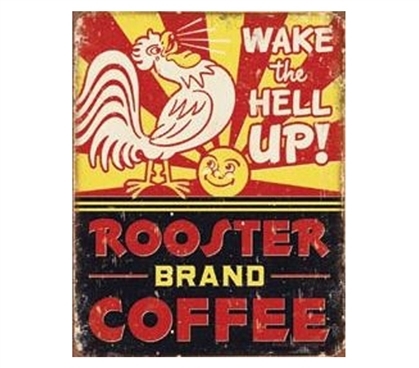 That and this funny college tin sign is even an artistic wall decoration for dorms. Shopping for college for your dorm decorations is one of the most fun parts of dorm room shopping! And while some might consider such items for college as mere dorm accessories, they're truly essentials for college, as you'll need some cool decor to add fun and character to your living space.